While all aspects of a remodeling project are important, if we had to choose the one element that is most critical, we would probably have to say planning. This is especially true in the case of a bathroom remodel, which can have a particularly great impact on the daily routine of the family. Proper planning can help make a bathroom remodeling project much less stressful and disruptive to your household. This is particularly true if you will not have another usable bathroom available to some or all members of your household while the work is happening. Obviously, this is something that needs to be considered very early in the process. You should sit down with your contractor and hammer out a very detailed plan and timeline outlining how the project will proceed. Study this document carefully, asking any questions you may have and making sure you are clear on all parts of the process. That will then allow you to make any necessary preparations or adjust your household routine as needed. In some cases, it may be advisable to make arrangements for your family to be elsewhere, at least during certain parts of the project. This can often prove to be a smart strategy in preventing tensions and frayed nerves, especially if your family includes young children or people who tend to have little patience for disruptions to their normal routine. You also want to try and coordinate the timing so as not to conflict or coincide with any other major events on your schedule. Remember that needed supplies and materials can sometimes take a while to arrive. This is especially true for custom selections that must be individually designed or special ordered. Your contractor should be able to get a rough estimate from the vendor or supplier, but be prepared to allow for some wiggle room. And remember that any last-minute changes, especially those made once items have been chosen and ordered, will affect both the timeline and the budget. Of course, it can sometimes be difficult to plan for the unknown, so this process may be challenging for you if this is your first time embarking on a bathroom remodeling project. That’s where your home remodeling contractor can be a valuable resource. 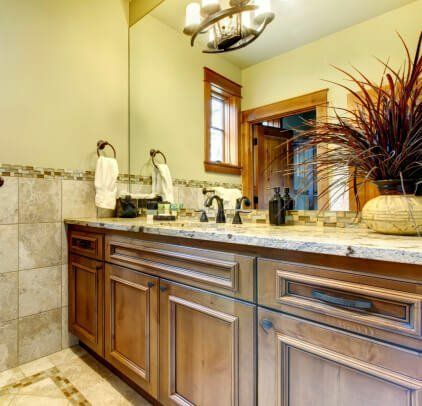 RW Remodeling specializes in Phoenix bathroom remodeling projects, and we can advise you about what you can realistically expect, and how best to plan for all aspects of this project.